Message from Princess Cadence: Okay guys! Fly to the Death Star! Remember to keep it real cause you gotta find your way in, and don't get caught! If you click 'Go get 'em' then you will be able to read more. 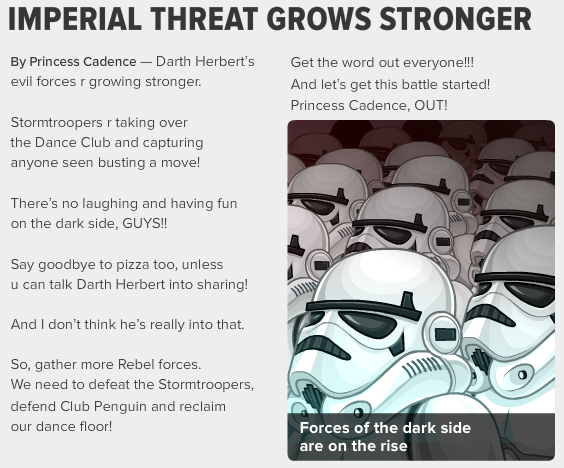 By Princess Cadence -- Darth Herbert's evil forces r growing stronger. Stormtroopers r taking over the Dance Club and capturing anyone seen busting a move! I guess we aren't allowed to dance anymore! 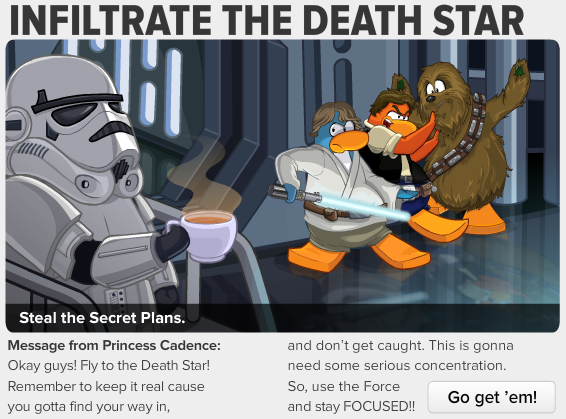 If you really want to dance then be careful because those storm troopers will take you away! 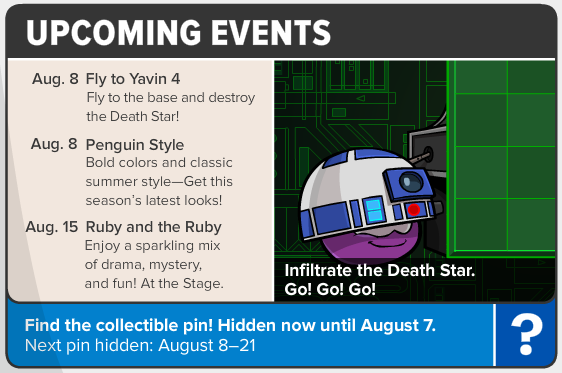 Fly to Yavin 4 - Fly to the base and destory the Death Star! Penguin Style - Bold colors and classic summer style--Get this season's latest looks!